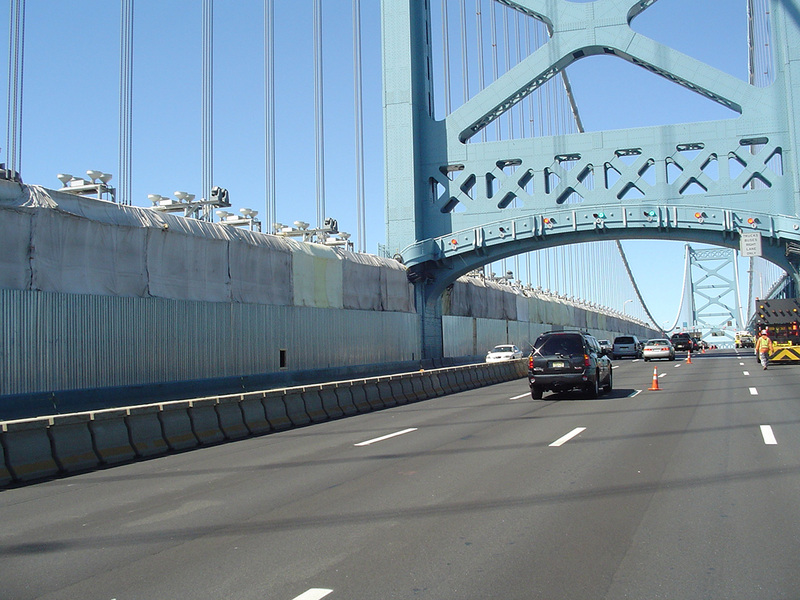 Safespan essentially brings bridge projects to the ground, allowing numerous spans to be accessed simultaneously. This feature permits multiple trade crews to work concurrently, resulting in significant labor and cost savings. Our system designs are flexible. We use various methods to connect the platform to the structure, depending on the bridge’s configuration, that allow you to adjust the platform’s height for your desired working clearance. Our experience enables us to employ innovative methods to solve the limited traffic under-clearance constraints unique to your project. We employ reusable components, custom designed by Safespan’s experienced in-house structural engineering staff to meet individual project requirements. Everything you need is included in the project package. Platform installation, redeployment and removal proceed quickly with minimal traffic disruption. 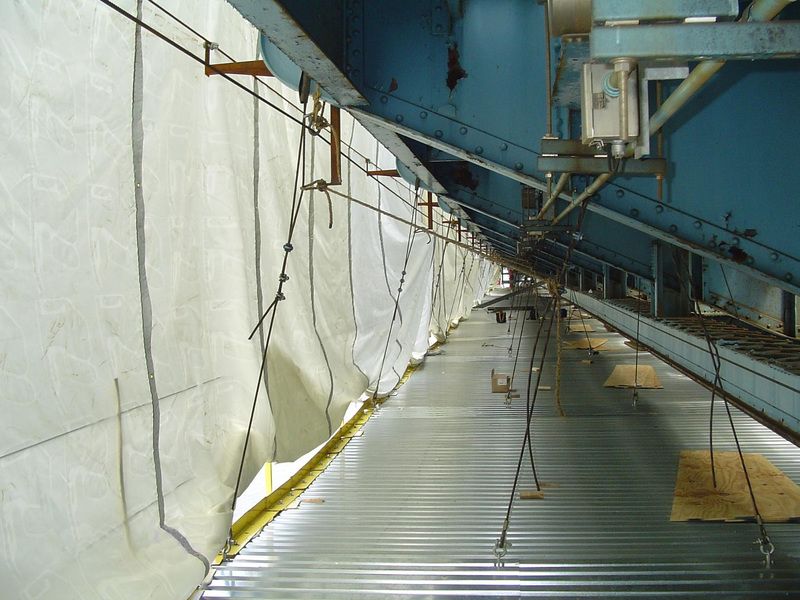 Safespan’s patented cable-suspended platform provides a stable working surface. 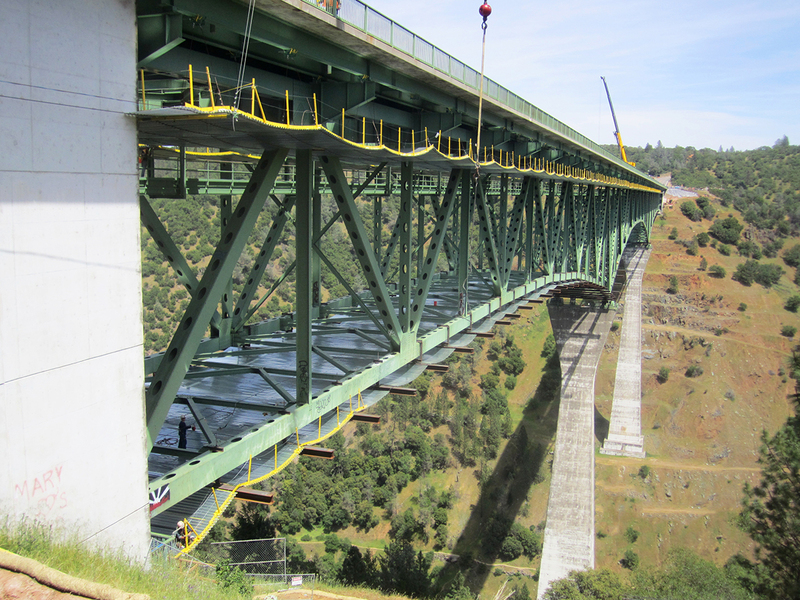 The bridge platform is supported on cables fastened in equal intervals to the bridge’s structural members. Then, steel decking specially configured for your project’s scope and weight requirements is attached to the cables, using Safespan’s custom-fabricated fasteners. The result is the most stable working area known in the industry. Safespan’s decking provides secure shielding, supporting loads up to 200 psf (976.4kg/m2). It completely shields the area under your project from demolition debris and other hazards. Side tarps & Side walls create a full enclosure. This arrangement not only contains dust and debris to meet environmental regulations, but also protects your crews and equipment from inclement weather, allowing work to continue in otherwise adverse conditions. It enables maximum air flow for ventilation, heating and cooling.